Epoxy floors are amongst the toughest finishes! Are you looking for a solution to achieve long-lasting floor surface at home? If you haven’t heard of epoxy flooring before, then you will after reading this. Here’s everything you need to know about epoxy flooring. Epoxy refers to the term representing a category of materials and the action of utilising those materials. Epoxy structures are based on a combination of hardeners and resins. When hardeners and resins are mixed together, they chemically react and end up forming an inflexible plastic material. That rigid plastic material is resistant, durable as well as strong and attaches exceedingly well to most different base layers. Epoxy floors generally are strong to an extent that they are currently being utilised in heavy traffic locations including in hospitals and industrial environments among other places. This kind of epoxy floor is amongst the strongest and hence being currently used by most people. Epoxy mortar floor is a high build, seamless design that is first made with solid epoxy and quartz sand or graded sand prior to being applied on the flooring surface with a trowel. Self-levelling epoxy is often applied over the top of damaged, cracked, old, or new concrete floor in order to make a durable, seamless, low maintenance, and smooth flooring surface. The self- levelling structure is available in multiple colours. You won’t find a style and colour that does not suit your flooring needs. 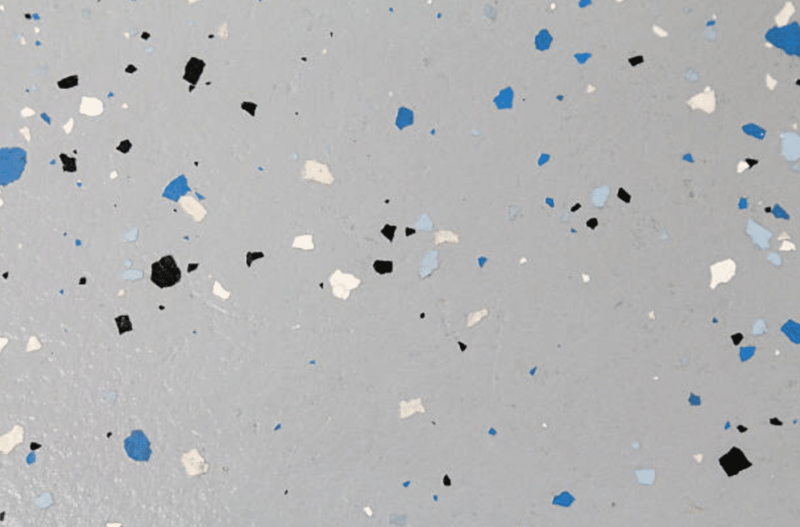 Epoxy flake floor is created when coloured flakes or chips are put within the epoxy in order to make seamless, multi-hued, resilient and vibrant flooring surfaces. The flakes are aesthetically pleasing and consist of a rough surface that has the capacity of reducing falling and slipping. Once concrete floors are coated with epoxy, they do not only become durable but also resist considerable wear. 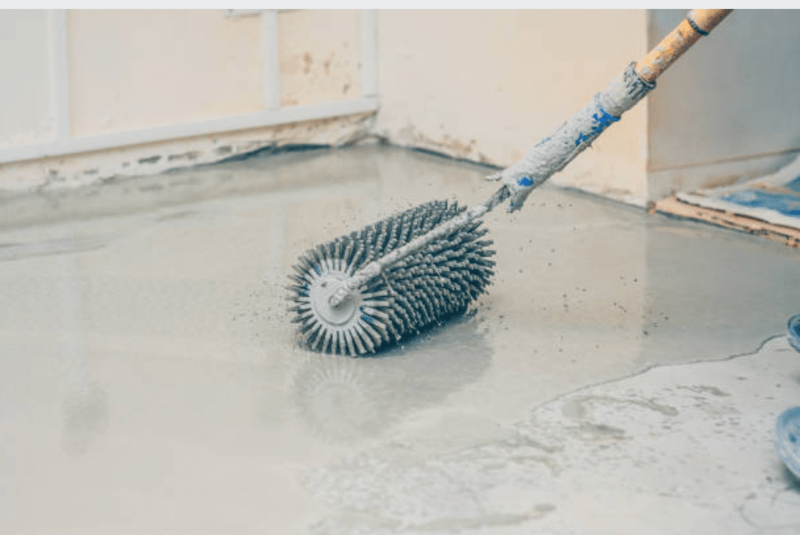 After a concrete floor is provided the epoxy coating, you can be certain it will no longer be permeable because it is sealed and hence easier to clean. Epoxy coating once applied accordingly on a concrete floor can surpass exposure to vigorous chemicals. This makes epoxy flooring vital to be used not only in home and industries, but also in other places including warehouses that are often exposed to strong chemicals. Epoxy coatings can be found in different patterns and colours. You will definitely find a unique style that matches your wants and needs. What are the disadvantages of epoxy flooring? Despite being long-lasting and durable, epoxy flooring once applied on your house or any place will require to be replaced eventually. An epoxy floor once applied can last for approximately two to three years; a factor that will be determined on the flooring traffic. Despite epoxy flooring having merits and pitfalls, the number of pros it offers far outweigh the cons. Because epoxy is one of the toughest finishes, they are most suited towards garage floor. Have you thought about using epoxy flooring for your home? If you didn’t know there are two types of epoxy, there is epoxy paint and epoxy coating. Our previous article will clearly explain the difference between epoxy paint and epoxy coating. That is why there are many residents in Melbourne with garage epoxy floor coating at home. For all your interior painting services and advice, we’re the professionals that you can count on! For your very own professionally coated garage floor epoxy, contact the experts from Newline Painting today for a free quote on 1300 044 206!